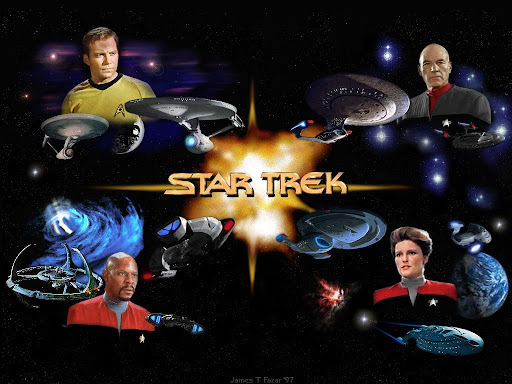 You love Star Trek and want to set your wallpaper as an homage to your favorite show. Here are the top five sites to get your wallpaper\backgrounds from. 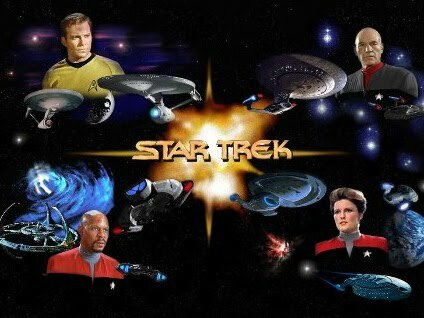 It doesn't matter which version of Star Trek you love, you'll find your favorite background here. Original Series, The Next Generation, Deep Space Nine, Voyager, Enterprise, or the whole Star Trek universe. While it's more of a hosting site for a lot of different wallpaper sites it's pretty comprehensive. 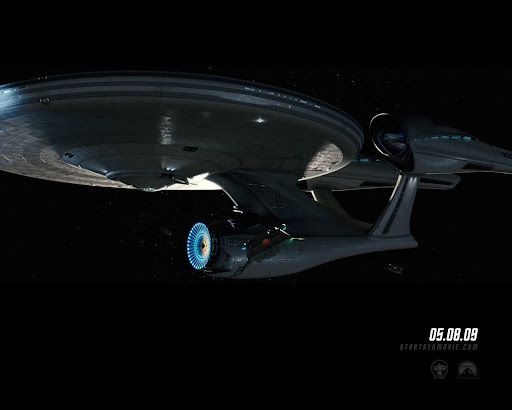 If you're a fan of the new Star Trek 2008 movie, check out the official Star Trek Movie Wallpaper site. A lot of these are based on the movie posters, so they're pretty nice. The only drawback is there aren't that many of them. Nice interface though. This is a good site since it has the usual ones, but a nice feature is showing ratings. It also seems to be updated more regularly than others. The bad thing is some only have one size image. Plus, I couldn't find any record of who created the images. 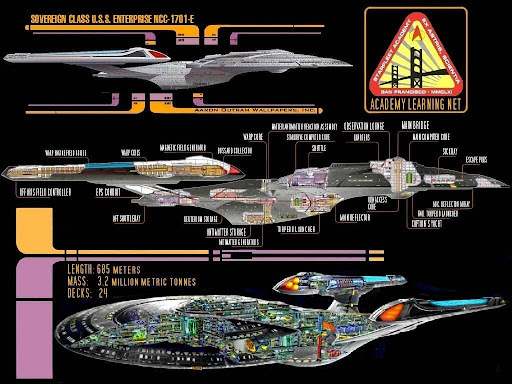 Favorite Image: "USS Enterprise NCC 1701 E Schematics"
The Atari video game Star Trek Online has some good wallpaper. Very nice, but only a handful. All CGI. Again, a small number of images, but they're all good. 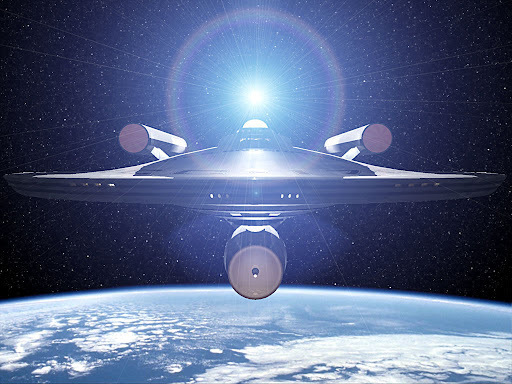 The nice thing about this site is you can get backgrounds for a bunch of other sci-fi ships as well. Everything from Star Wars to Farscape. Are you going to check any of these out? 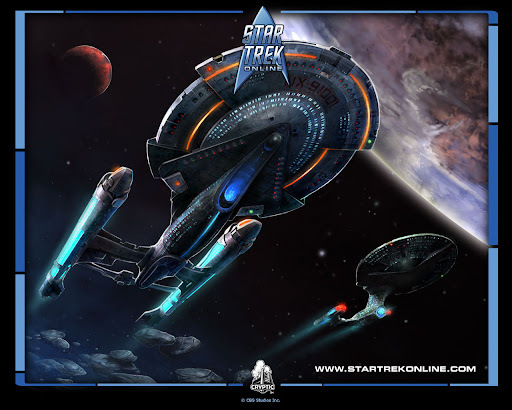 Do you have a favorite background site that you go to?